Doris June VanderPloeg, 87 of Bridgman went to be with her Lord on Saturday, November 17, 2018 at Woodland Terrace, Bridman. Funeral Services will be held at 11 AM Wednesday, November 21, 2018 at Woodland Shores Baptist Church, 3555 W Shawnee Rd, Bridgman, with Reverend Jim Oakley officiating. Friends may meet with the family from 10 - 11 am Wednesday at the church prior to the service. Memorial contributions may be made to Woodland Shores Baptist Church. Burial will be in Graceland Cemetery, Bridgman. Send flowers to the service and online condolences accepted at www.PikeFH.com. Doris was born December 22, 1930 in Grand Rapids, the daughter of the late George and Marie VanderZouwen. Doris was raised by her father George and step mother, Margaret. On August 6, 1954 she married Ellis Jerome VanderPloeg. 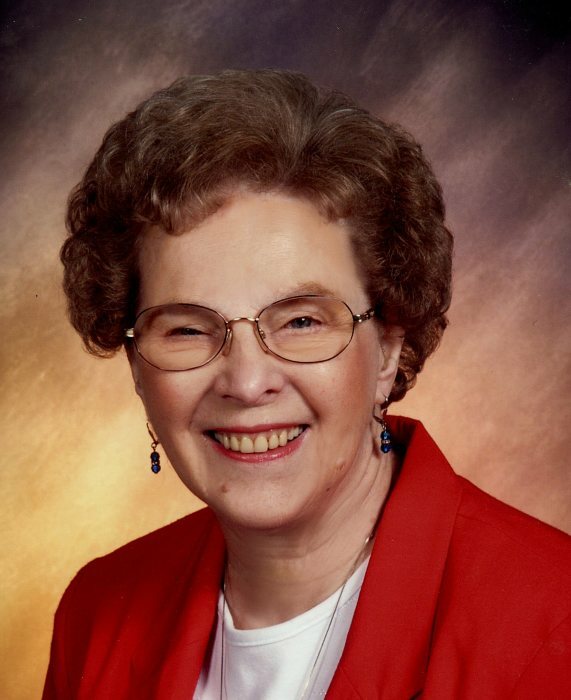 Doris was a faithful member of Woodland Shores Baptist Church and was a 1950 graduate of Hudsonville High School. Survivors include her husband of 64 years, Ellis; three sons, Douglas, Keith and Jon VanderPloeg; two daughters: Phyllis VanderPloeg and Myra (Fritz) Dornan; five grandchildren and two great grandchildren; two brothers; Harold and Donald; three sisters: Lavon, Nancy and Audrey. Doris was also preceded in death by two sisters: Betty and Shirley. Arrangements entrusted to the Boyd Chapel of Pike Funeral and Cremation Services , 9191 Red Arrow Highway, Bridgman.